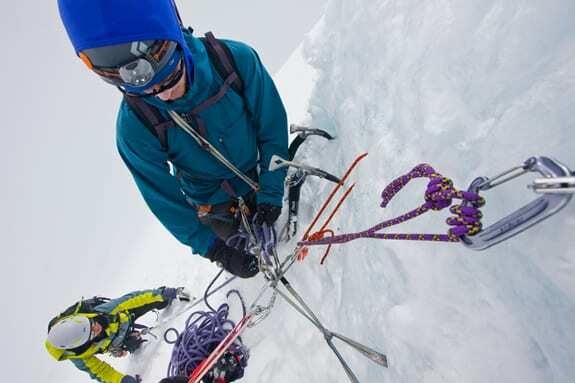 Located in the Northern Andes, the Cordillera Blanca of Peru is one the world’s foremost mountaineering arenas. The breathtaking pyramids of snow and ice that make up ‘The Blanca,’ as it’s respectfully referred to, soar up to 22,200′ and contain more than 30 peaks over 18,000′ tall. 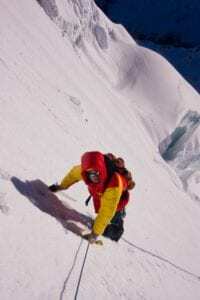 Due to the fact that these grandiose mountains are so easy to access, our expeditions to this region enjoy more time climbing in the alpine zone and learning mountaineering skills and less time on the approach to base camp. We will aim to climb Urus (~17,900′), Ishinca (~18,200′) Tocllaraju (~20,000′) and possibly Ranrapalca (~20,000′). The ultimate goal of the expedition will be for students to lead the summit bids on these glaciated peaks and to learn the skills needed to lead similar expeditions on their own after the expedition. This course starts in the beautiful mountain town of Huaraz (~10,000′) where we will stay in a family-run bed and breakfast called Familia Meza. We will spend the first three days organizing food and gear, acclimatizing, and preparing for the mountains. After a half day of driving and a half day of hiking, we will arrive at our base camp at about 14,300′ in the Ishinca Valley. We will spend the remainder of the trip developing educational outcomes and making summit attempts from our base camp. The expedition will be supported by burros and burro drivers, known as ‘arrieros,’ as well as a camp cook/watchman. This is an advanced mountaineering course. 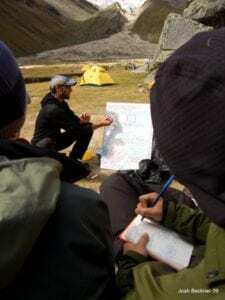 In order for all students to start and stay on the same page, it is imperative that all students on international expeditions come to the course ready to receive a brush up on fundamental skills (tips and tricks for tent pitching, snow camping, stove use/cooking, pack packing, etc) and ready to focus on more complex skills such as those listed above. Please see the ‘Prerequisites’ on the ‘Apply’ page. Day 1: Meet in Huaraz (~10,000′) Orientation, Risk Management; Nutrition for Expeditions; Ration Planning; Food Purchasing; Expedition Planning. Day 2: In Huaraz: acclimatize and prep. High-altitude physiology; Glacier Rigs; Expectations; Risk Management in Developing Nations; Hygiene; Sat Phone Use. Day 3: In Huaraz: acclimatize and prep. Climb to Lago Churup, ~14,700′. Permitting Issues; Leave No Trace, Geology and Glaciology of the Andes. Day 9: Climb Urus (~17,900′); Instructors role model route finding, technical transitions, rope team leadership and communication, etc. Day 18: Transfer to Huaraz, debriefs, evaluations, and ‘next steps.’ Relax at the hot springs? Day 19: Optional bus to Lima or continue exploring Peru! Please note: though we’ve never had to do so, any expedition that is under enrolled will be canceled 6 weeks before the expedition begins. In such a case, a full refund would be available.